In your everyday routine, you have other things to worry about like your careers, family and whatever stress-related things there are. You cannot focus on your relationship as much as you want to. Traveling with the one you love is a way of resetting the bond and strengthening the foundation of the relationship to reassure each other of how you feel making it another stepping stone in your life as a couple. When was the last time both of you did something new? Traveling with your boyfriend could heighten the relationship to the next level when you experience new things together. Try wine-tasting in a vineyard, skydiving, scuba diving, swimming with the sharks, or even just doing a picnic. Whatever it is you wish to scratch off your bucket list, it’s always a good thing to experience it with the one you l♥ve. When backpacking anywhere, it’s a given that things don’t go as planned; delayed flights, lost reservations, stolen bags, missing your train and actually getting lost are just some of the things that could happen. When bad turns to worst, having your boyfriend with you eases the situation because there will always be a ready shoulder to cry on and both of you are in it together. Since there is no use crying over spilled milk, get over it, learn from it and laugh about it. Trust me, the most horrible things that happen during your trip comes out as the most hilarious stories in generations to come. You get to discover how compatible you are as a couple when placed in a new environment and a stressful situation. Also, when traveling you’ll learn how to be very patient, how to compromise, and how to deal with each other when being together 24/7; you don’t have any choice, really, because if you don’t, the trip of your dreams will just go down the drain or worse, even your relationship. With the language barrier, different culture and so many different types of people everywhere, it’s nice to have someone who is in exactly the same page as you are. When things go bad, you’re the only ones who can help each other out and make each other feel better; when there’s an amazing experience, no one else except the both of you will understand you feel; when a person treats you horribly, you can make fun of that person in your own language and no one else will understand it but you guys. You get to appreciate the better things in life and most especially each other. No matter how young or old you are, no matter the profession, there is always that time when your inner child will want to come out. Most often than not, it’s always the time when you travel, when no one cares what you do at all and you can just break free from the norm. Just as the saying goes, “Home is where the heart is.” When you’re with your boyfriend, being homesick is an emotion that is nonexistent. The reason why you miss home when you’re away is almost always because your missing your man. You’d be taking photos of the Eiffel Tower and sending it to him saying “wish you were here, baby”, in short, you’ll be seeing these beautiful places at the back of a camera lens because you’re too busy messaging your man every minute. 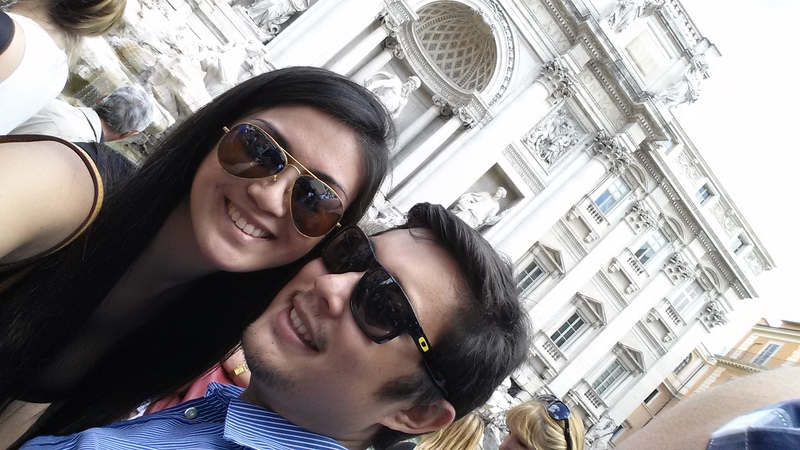 So traveling with him can make both of you worry free about each other and appreciate the moment you two are in. You’ll feel more relaxed, your mind won’t go wandering off someplace else and the best part, you’ll grasp the moment and embed it in your memories forever. In this modern-day world, its sad to see couples on a date hardly talking because their faces are buried in their phones for whatever reasons. I’m guilty of this too! The best part when traveling together with your man is that you don’t use your phone as much as you do back home because you don’t have to worry about work, you don’t need to keep calling each other and all these social networks become unimportant. You get to go on a real intimate date without the distraction of your phone and you talk to each other more. 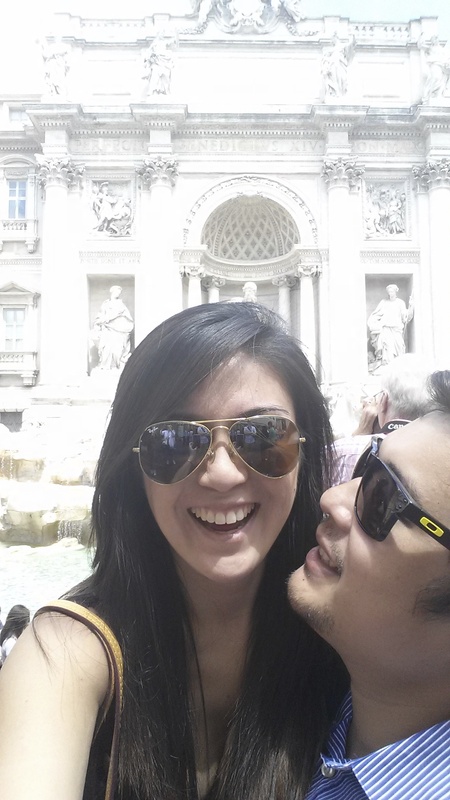 Hopeless romantics can have their fair share of cheesiness when going on a trip because who cares really when you’re taking that “couple selfie“? It could be corny, mushy and cheesy but it could be fun too. If you’re not the type, it wouldn’t hurt to add a little spice or cuteness in your relationship. Seeing a different part of the world brings out those heartfelt and fuzzy feelings that have mellowed down. Traveling is a great chance to be that happy-go-lucky, cool, and hopeless-romantic people you once were in the start of your relationship. You’ll get the chance to fall in love all over again. Time will stop and for a moment it will be just the two of you facing new things together so never let go of each others hands, hug often, kiss passionately, make love and be happy!